IK is excited to announce the newest addition to the iLoud family, iLoud MTM - nearfield studio monitors re-invented for quality, accuracy, and convenience. iLoud MTM takes the same inspiration behind iLoud Micro Monitors, to deliver reference-class sound in an ultra-compact format, and takes this concept even further to change everything about the sound, accuracy, and convenience of reference monitors in today’s modern studio. iLoud MTM offers a totally DSP-controlled system to achieve results simply not possible with analog designs, and drawing on IK’s 20-year history of advanced digital signal processing. The results are impressive: 40 Hz - 24 kHz flat frequency response, size-defying bass response, true linear phase response for unbelievably revealing sound, superior imaging and precision even at close distances, built-in acoustic calibration derived from our award-winning ARC System software, and more. All this in a monitor that’s compact enough to fit conveniently on a desk so you can use it anywhere. iLoud MTM delivers an ultra-flat 40 Hz - 24 kHz frequency response, to provide clear, neutral sound and ensure your mixing decisions translate better. The bass response utilizes our new patent-pending Physical Response Linearization™ (PRL) technology to deliver deep, firm bass that rivals the sound from speakers twice it’s size. Even more, iLoud MTM offers a true phase-coherent response across the useful frequency spectrum, for unbelievably realistic, natural sound like you may have never heard - it’s almost impossible to do in analog designs and required IK’s advanced digital crossovers and DSP programming. Sound is natural and life-like, and your mixes will translate better than ever. iLoud MTM's symmetrical design brings superior imaging and precision. Using a midrange-tweeter-midrange design, two 3.5” high performance woofers, and one 1” high definition, back-chamber loaded tweeter, iLoud MTM offers “point-source” performance for ultra-accurate stereo imaging, even at close distances. This time-aligned design minimizes ear fatigue, so you can mix longer, and also minimizes vertical reflections to reduce the impact of room acoustics on your monitoring. iLoud MTM also adjusts to any room or placement, with a built-in acoustic self-calibration via the included ARC™ reference microphone. In just seconds, you can create a custom calibration that ensures you hear the most accurate version of your music, so you can mix with confidence that your mixes will translate better. And iLoud MTM is perfect for your home or project studio. In addition to the precise time-alignment of the MTM design, iLoud MTM offers a tilting isolation stand designed to precisely angle your speakers for desktop placement. Small enough to sit next to your computer, you’ll get professional-quality monitoring in virtually any situation. The true test of a monitor is how it sounds - and we know that once you hear iLoud MTM, you’ll find it hard to ever go back to traditional big-box speakers. iLoud MTM gives you the best possible sound for any room, any music, and any situation, delivering sound beyond anything in it's size and price range. Learn more about iLoud MTM here. 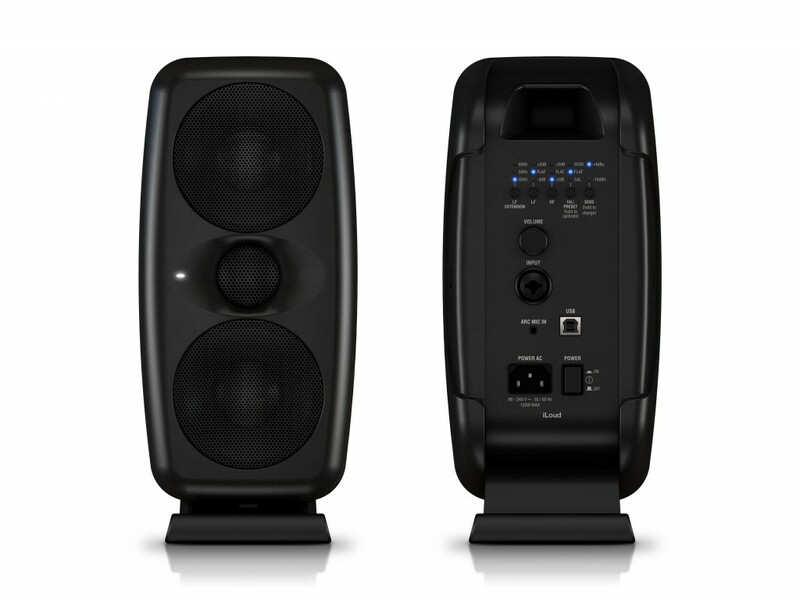 Pre-order your own iLoud MTM speakers for $/€ 349 each. Pre-order now and get free shipping!